The Garden Party fundraising event took place on the gorgeous grounds of Meadow Brook Hall & Gardens in Rochester Hills on Sunday, June 11. 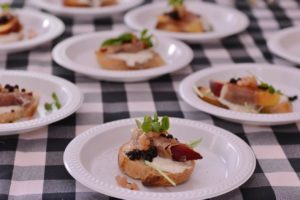 During the afternoon of classic cars and fine wine, three RRG restaurants – Bill’s, Cafe ML and Streetside Seafood – contributed some of their signature dishes. All proceeds from the event go toward providing trade school scholarships to underprivileged adults in the area. To find out more about The Garden Party click here.